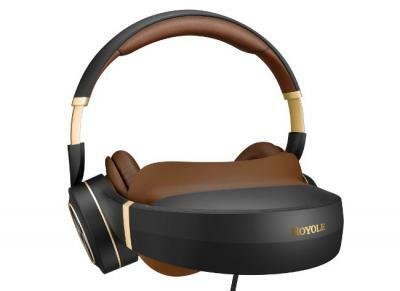 Royole's Moon is a foldable 3D VR headset that use OLED microdisplays. The only technical details on the displays is that they achieve a PPI of over 3,000. The Moon also includes noise-cancelling headphones and runs on the company's own Moon OS. Games and content can be run from the internal memory - or via HDMI and USB interfaces. The moon is now shipping for $599 (note: affiliate link to Amazon).